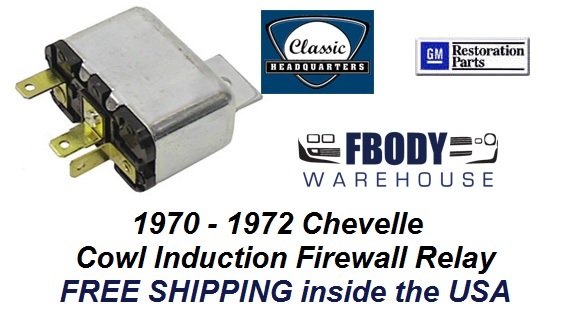 For use on 1970 1971 1972 Chevellewith cowl induction. OE quality cowl induction firewall relay. Brass contacts and phenolic style injection molded base. Don't buy cheap reproductions as this is a true Officially Licensed GM Restoration Parts.